Jazeman is savouring the sweet taste of victory this weekend, with his first win in the Formula Renault 3.5 Series at the famed Monaco street circuit. The 22-year-old PETRONAS Talent Programme driver put in an outstanding performance, taking pole position for the race after a thrilling qualifying session and then taking control of the race to lead every lap and take the chequered flag first. This dominant performance lifted him to the top spot in the Drivers Championship. The Formula Renault 3.5 Series is one of the supporting races to the Formula 1 Grand Prix and this brings not only glamour and glitz, but the eyes of the influential personalities and leaders of the world of Formula 1. Jazeman put on a superb show for this audience, with his strong running right from the start of practice on Friday to the finish line today. 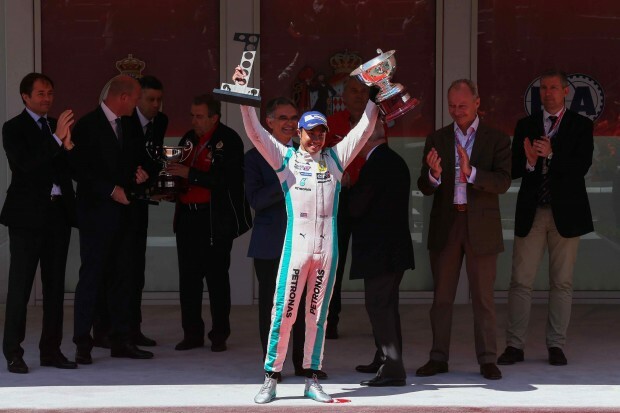 The Monaco street circuit, one of the most challenging tracks on the calendar, is a favourite of the Malaysian driver and with two podium finishes on his previous visits, Jazeman had only one goal this weekend. He accomplished this with skill and style, driving flawlessly throughout. In today’s race Jazeman lined up in pole position and despite an audacious challenge from second placed driver and Jazeman’s Fortec Motorsports team mate, Oliver Rowland, when the lights went out for the start, a confident Jazeman held his ground and taking the inside line was able to fend him off to hold the lead. As he quickly settled into a blistering pace he drew away from second placed driver, Dean Stoneman to take a commanding hold on the race. However, just a few laps later a dramatic incident in the mid-field caused the race to be red-flagged, with the grid of cars returning to the pits while the track was cleared. After a few minutes the race resumed under the safety car for one lap before Jazeman retook the lead for green flag racing. With Dean still in second Jazeman once again proved his mastery of the track, building a healthy lead and in the process putting in a series of fastest laps. The talented Malaysian coped well with the pressures of racing to his first victory and after his best performance of his Formula Renault 3.5 Series career, took a well-deserved maiden win. Jazeman now leads the Formula Renault 3.5 Series Drivers Championship with 49 points, just one ahead of team mate Oliver Rowland. The Series moves on to Spa Francorchamps circuit in Belgium for the third round of racing and with this event being held next weekend, Jazeman has little time to enjoy his victory.